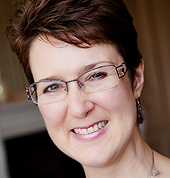 Guest post by Frankie Wallace. Do you feel like your blog is not doing you any good, or like no one is really engaged with it? Does it feel like a waste of time and energy? It doesn’t have to be that way. But in order to turn things around, you need to have a good content strategy for your blog and some concrete and realistic goals. Your blog should be doing something for you and your brand. It should be producing more organic traffic and increasing your conversion rates. A lot of this depends on the content you create for your blog, and how engaged your users and readers are with it. Here are some great guidelines for goal setting that also apply to setting and achieving realistic goals for your blog. Just as with any other goal, the goals you set for your blog should be specific ones. If you do not aim at a specific target, you are likely to hit something, but maybe not what you are aiming for. What kind of realistic goals do you need to set? They are pretty simple really. Blog regularly: The more regularly you write posts, the more engagement you will have on your blog. Readers and search engines will check back in regularly when you have consistent and quality content. See increases in organic traffic: Organic traffic means people find you through search engines like Google. This means deliberately doing a good job at SEO and using the right keywords. One goal might even be to better understand and apply SEO tactics in general. Lower bounce rates: Bounce rates are calculated when someone visits one page on your site, but never goes to another one. This means better internal linking and having well-developed calls to action on your blog. Whatever you want users to do after reading your post should be clear, relevant, and simple to follow. More social shares: One of the best ways for your blog and content to get noticed is through social media, and the more social shares you have, the more traffic your site will get. There are some things that used to matter in the blogging world that don’t really anymore. Commenting on blogs is not as common as it once was, and you tend to get more comments on social media posts instead. The key is to know what you want your blog to do for you, and set specific and realistic goals to keep you on track toward those things. How do you know if you are accomplishing your goals? You have to measure what is happening with your blog. This is done through the use of Google Analytics or the analytics that comes with your site, like through WordPress or whatever platform you happen to be using. These analytics will show you new visitors per month, returning visitors, bounce rates, organic traffic, and more. The key is to see these numbers rising each month as you work toward your goals. Which analytics should you use? It doesn’t really matter, as long as you are tracking your results. Google analytics is free, but there are also more tools online that, while not free, provide even deeper insights. Analytics will show you where you are at the moment, which can help you determine where to set your goals once you have figured out which goals to set. Knowing where you are now, and the history of your site can help you with the next step. Goals need to be challenging, but they should also be achievable. Too high of goals means you will have a hard time reaching them, too low and they will be too easy, and you won’t work as hard as you should be working. Just like in fitness, you should push yourself, but not to the point of injury. A good link building strategy is essential, but set goals of building too many too fast and you won’t be able to keep up. Too few, and you won’t see the results you are looking for. The same is true with content. You can only write so much, and if you try to write more, the rest of your business may suffer. Also get professional help when you need it. If you need a copywriter to reach your writing goals or a link building campaign from a professional firm, be sure you have the budget for it when you do hire them. This frees you up to do what you do best: run your business. A goal without a deadline is not really a goal, it is more of a wish. However, you also need to be just as realistic with time as you are with the rest of your goals. Give yourself more time for large projects and break them into achievable milestones and sections. Set a shorter time frame for smaller realistic goals and work hard to achieve them. This often means adding time in your schedule for activities you have never done before. 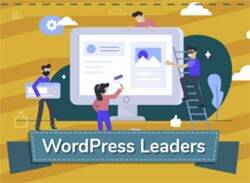 For instance, you may need a scheduled time to write content or to outreach other sites for link building if you are not outsourcing this work. Even if you are, you need to follow up with your expectations and make sure those companies are doing the job you have hired them to do. In fact, you should always give yourself time, at least once a month, to measure your progress, and if you are not progressing the way you would like, determine what you need to change to make things work better. Lastly, be sure your goals are relevant to your blog. It does no good to rank for great southern recipes if you are a personal injury lawyer, but yet legal firms have made the same mistake. Your blog should be targeted to a specific audience, and your realistic goals should reflect going after that audience. Traffic is nice, but irrelevant gains in traffic will make no difference at all to your blog’s bottom line, whatever that looks like for you. 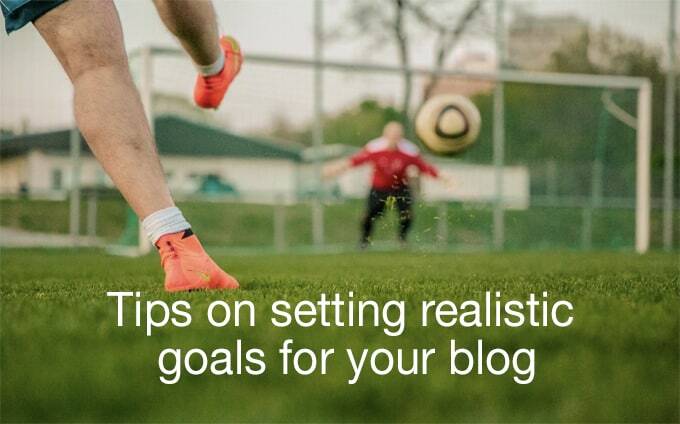 Setting realistic goals for your blog is much like setting other company goals. They need to be specific, measured, lofty but achievable, time managed, and relevant. 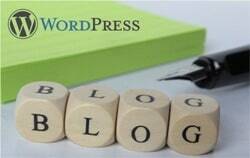 Follow these tips and you’ll be well on your way to your blog being the tool it should be. Frankie Wallace regularly contributes to a wide variety of blogs and enjoys writing about health tips and politics. Wallace currently resides in Boise, Idaho and is a recent graduate from the University of Montana.